Donald Trump criticized Fox News' Megyn Kelly again, mocking her math and calling her "overrated." 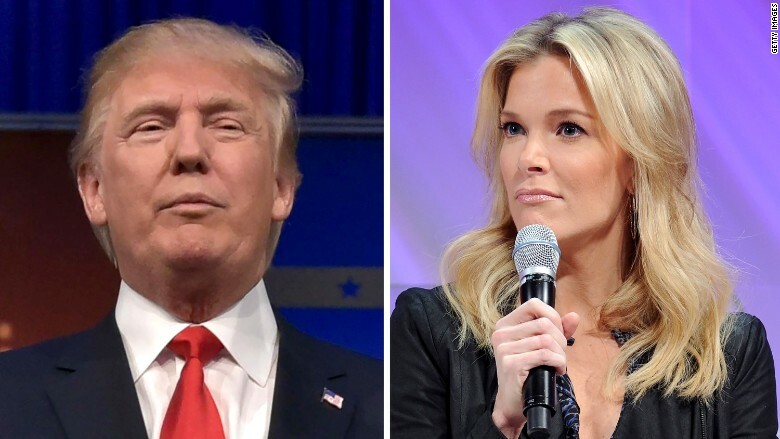 Donald Trump's debate prep consists of... criticizing past debate moderator Megyn Kelly? On Tuesday morning Trump fired off a series of complaints about Kelly, accusing her of unfair coverage and calling her "the most overrated anchor at Fox News." Trump took exception to Kelly's tough questions at the first GOP debate of the season, way back on August 6. His harsh criticism of Kelly became a big news story and helped trigger a lengthy feud with Fox. The feud subsided, but Trump has continued to criticize Kelly via Twitter. No other candidate in either party personally insults individual journalists the way Trump does. One of his messages on Tuesday morning said, "I wonder if Megyn Kelly and her flunkies have written their scripts yet about my debate performance tonight. No matter how well I do — bad!" His anger was apparently stirred by a mistake on Kelly's program on Monday night. Kelly accidentally said that Trump is 15 points ahead of Ted Cruz nationally in a new Monmouth University poll. He is actually 27 points ahead, according to the poll. On Twitter he accused Kelly of lying about his standing in the polls. And he mocked her by saying she "is very bad at math. She was totally unable to figure out the difference between me and Cruz in the new Monmouth Poll." A representative for Fox News noted that the on-screen graphic about the poll was correct. Kelly's misstatement — which by normal journalistic standards was relatively minor — was the result of an error in a script. Fox said the error will be addressed on Tuesday night's program. Trump, whose media bashing has become a staple of rallies and interviews, also said Tuesday that he thinks Fox News as a whole is "not fair" to him. This was an assertion he made repeatedly in the wake of the August debate. On an almost daily basis, Trump uses Twitter to either thank or trash members of the media. When Fox's Bill O'Reilly said last week that Trump should have been named Time's Person of the Year, Trump tweeted, "You should run Time!" He also advised Fox, via a tweet, to dismiss regular contributor Karl Rove. Trump recently used his Twitter megaphone to lambast CNN contributor SE Cupp, a Trump critic, as a "totally biased loser who doesn't have a clue." And he retweeted Democratic presidential candidate Bernie Sanders when Sanders commented that "ABC News spent 81 minutes on Donald Trump and only 20 seconds on our campaign." Trump replied, "That's because ABC is smart!" Editor's note: A previous version of this story incorrectly identified the Monmouth University poll cited by Megyn Kelly as a survey of Iowa voters. In fact, it was a national survey.